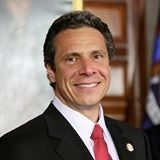 WASHINGTON, D.C. – (RealEstateRama) — Governor Andrew M. Cuomo today announced that the New York State Board for Historic Preservation has recommended the addition of 22 properties, resources and districts to the State and National Registers of Historic Places. The nominations reflect the remarkable breadth of New York’s history, ranging from the first school to offer special education within the City of Buffalo school system, to an Elmira public housing complex named after an Underground Railroad figure. State and National Registers listing can assist property owners in revitalizing buildings, making them eligible for various public preservation programs and services, such as matching state grants and state and federal historic rehabilitation tax credits. Spurred by the credits administered by the State Historic Preservation Office, developers invested $550 million statewide in 2015 to revitalize properties listed on the National Register of Historic Places, while homeowners invested more than $12 million statewide on home improvements to help revitalize historic neighborhoods. Once the recommendations are approved by the state historic preservation officer, the properties are listed on the New York State Register of Historic Places and then nominated to the National Register of Historic Places, where they are reviewed and, once approved, entered on the National Register. More information and photos of the nominations are available on the Office of Parks, Recreation and Historic Preservationwebsite. Hudson Theatre, New York – Constructed 1902-03 as part of renowned producer Henry B. Harris’s theatrical empire, the Beaux-Arts theater is one of the few remaining early 20th century playhouses within Manhattan’s Broadway Theater District. Blauvelt-Cropsey Farm, Clarkstown – Erected for the Blauvelt family near the turn of the 19th century, the Blauvelt-Cropsey house is a highly intact and impressively maintained sandstone residence that melds Dutch and English building traditions. Since the 1890s it has been associated with the Cropsey family, members of which reside there to this day. John Green House, Nyack – Built ca. 1819, it is one of a few remaining structures left from the earliest period of growth in Nyack and was the home of John Green, whose role in establishing the Nyack Turnpike and regular steamboat service helped transform the community into a thriving seat of regional commerce. Stanfordville Station, Stanfordville – Constructed in 1889, the complex is the last of three stations built for the short-lived Poughkeepsie and Connecticut Railroad, which was established by the Poughkeepsie Railroad Bridge Company to compete with east-west routes. St. John’s Episcopal Church, Pleasantville – Erected in 1912, the highly intact Late Gothic Revival-style church and the 1928-29 parish hall are recognizable local landmarks. The complex also includes a c1800 dwelling later incorporated into the parish as a rectory. The Cornwallville Cemetery, Cornwallville – First used for burials in 1824, the cemetery serves as the final resting place for many of this community’s preeminent figures, among them the hamlet’s first settler, Captain Daniel Cornwall, a veteran of the American Revolution who arrived from Connecticut with his family in 1788.
International Shirt & Collar Company Building, Troy – Built in 1876 for processing cereal grains into malt for brewing, it was later part of the city’s cuff and collar making industry, which dominated the city at the turn of the 20th century. The Moss Street Cemetery, Kingsbury – The cemetery’s earliest grave is believed to be that of an unknown Native American veteran of the French & Indian War who was buried there as early as the 1780s; it includes the graves of countless prominent early town residents, among them veterans from the American Revolution, War of 1812, and Civil War. Bagg’s Square East Historic District, Utica – Located on the south side of the Mohawk River, where low-lying flats were suited for a succession of transportation modes – first by foot and hoof, later utilizing rail, boat, and automobile – the district reflects Utica’s development as a transshipment center in 19th through the mid-20th centuries. The Hawley-Green Street Historic District (Boundary Expansion), Syracuse – The expansion adds 107 contributing buildings with a rich blend of architectural styles – built between 1824 to 1930 – to the historic district originally established in 1979. Oak Knitting Company, Syracuse – Built in phases beginning in 1899, the mill was one of the first of many large industrial buildings constructed on the reclaimed salt flats in the northwest section of the city following the decline of the city’s early salt industry. The Syracuse Lighting Company Building, Syracuse – Built in six sections between 1893 and 1950, the power plant provided electricity to hundreds of industrial buildings in the city, directly impacting the growth and diversification of industry in Syracuse. Common School 32, Trout Creek – Constructed sometime between 1860 and 1880, Common School 32 retains the iconic form of a 19th century one-room rural school and was the last one-room school in the town to close in 1968. George Washington School, Elmira – A project of the Great Depression-era Public Works Administration, the Art Deco-style school opened its doors to students in 1940 and served as a local elementary school until 2006. John W. Jones Court, Elmira – Named after a city resident who escaped slavery and was active in the Underground Railroad, the post-war public housing project was built exclusively for African Americans, but also had the unfortunate effect of displacing the institutions that formed the cultural heart of Elmira’s African-American community. Jewell Family Homestead, Guilford – Built around 1824 by the Jewell family, settlers from New Hampshire who became major landowners, the house is a representative intact example of a New England, center chimney plan residence, one of the most popular forms of domestic architecture in regions settled by New Englanders in the late 18th and early 19th centuries. East Main Street Historic District, Rochester – The intact downtown neighborhood contains a mix of buildings that together illustrate the growth and development of Rochester’s east side historic commercial and retail center from the oldest buildings to the construction of the Chase Tower in 1973. Le Roy Downtown Historic District, LeRoy – The highly intact collection of residential and commercial buildings, built between 1811 and 1963 along the primary traffic artery through Le Roy, demonstrates its growth from frontier settlement to a bustling community at the turn of the 20th century. The Terminal Building, Rochester – Built 1924-26 as the first building to front Broad Street, the office building is an embodiment of the growth and transformation of downtown Rochester in the 1920s, after the Erie Canal aqueduct was transformed into an automobile and subway conduit. Buffalo Milk Company Building, Buffalo – Constructed between 1903 and 1905, the Buffalo Milk Company, which later reformed as Queen City Dairy, used the building for the pasteurization and distribution of milk, the first large-scale milk company to do so in Buffalo. The F.N. Burt Company Factory “C” Building, Buffalo – The daylight factory building, constructed in 1911 for the largest producer of boxes for cigarettes and cosmetics in the United States. Like the other surviving Burt factory buildings, Factory C is also associated with general manager Mary R. Cass, who was one of the most successful women executives in the country. Buffalo Public School #24, Buffalo – Beginning in the 1930s, PS 24 housed several “sight-saving” classes, and over the following decade the building not only became the “headquarters” of courses for the blind, but also for several programs designed for students with learning and intellectual disabilities, predating state and federal laws regulating education for all students with special needs.